1. 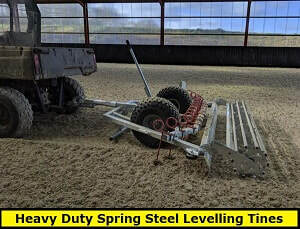 Arena leveller video showing the Chapman MG250RR arena leveller working on a sand and fibre surface. 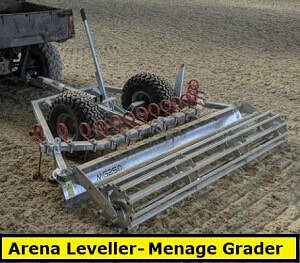 Our arena leveller or menage grader is suitable for arena surfaces, sand schools, gallops, indoor and outdoor riding surfaces that consist of a variation of silica sand, rubber, wax, fibre, foam and clothing materials.